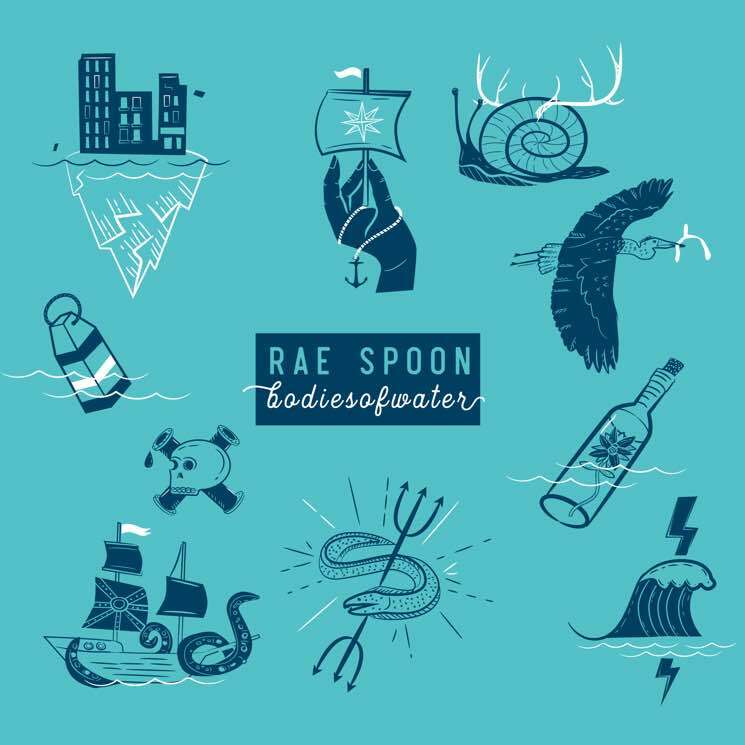 In response to the chaotic world, Rae Spoon accentuates hope on their ninth record, bodiesofwater. Spoon's album is a concept record of sorts that meditates on the similarities between how the government controls and commodifies waterways and bodies. Building from this, Spoon dives into topics like environmental protection, sexual assault, supporting survivors and self-care. Altogether, bodiesofwater is a powerfully pertinent recording. Spoon started their career as a country and folk artist, but has shifted their sound to explore pop and electronic worlds. Co-produced by Laurie-Anne Torres (Folly & the Hunter, Land of Talk), bodiesofwater is a bright electro-pop rock record. The muddy sounds of "You Don't Do Anything" aside, the majority of Spoon's songs are punctuated by bouncy percussion, making each track feel playful, despite the often complexly desolate topics within. "Seascape" — a revivable place as characterized by Spoon — has a lively beat with an undercurrent of sparkling synths. The buoyant "Undertow" is peppered with glitchy synths that twinkle like the sunrise's reflection on water.